A Bangladeshi television journalist was on Tuesday hacked to death at her home by unidentified assailants, media reports said. 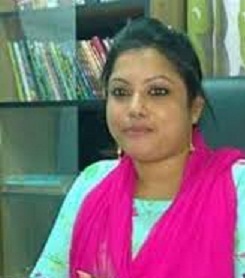 Subarna Akter Nodi, 32, was a correspondent of Ananda TV and also worked for the Daily Jagroto Bangla newspaper, bdnews24.com reported. She lived in Radhanagar area of Pabna district, some 150 km from Dhaka. A report appearing in the The Hindu stated that Nodi was awaiting divorce from her husband. About 10 to 12, persons came riding motorcycles and rang the doorbell of her house at around 10.45 p.m. on Tuesday, it said. When she opened the door, they hacked her and fled the spot, Pabna Additional Superintendent of Police (ASP) Ibne Mizan said. The assailants used a sharp-edged weapon to attack her, police said. The report further stated that some locals rushed her to the hospital where she was declared brought dead. Police have launched several teams to nab the culprits, Additional SP Gautam Kumar Biswas said. Meanwhile, Nodi’s family said that they suspect her ex-husband Rajib Hossain and father-in-law Abul Hossain of being behind the killing, theDhaka Tribune reported. Her mother claimed that she had named her ex-husband as one of the attackers before she died.